At American Dental, we focus on providing Wichita families with restorative and cosmetic services that help you achieve and keep a healthy smile. We offer exceptional dentistry, a gentle and friendly approach, and a genuine concern for what’s important to you, our most valued patient! We’re pleased to welcome all your family members, ages 3 to 93 (and beyond!). Dental needs change as we age, and we’ll customize your care to fit those changing needs. If it’s been a while since you last visited the dentist, we think you’ll be pleasantly surprised at the changes! Today, aided by advances in dental technology, we can make your dental care easier, more efficient, and more comfortable than ever before Digital radiography (x-rays) reduces your exposure significantly compared to film x-rays. Their highly detailed digital images let us see and correct problems long before we’d see them with a traditional x-ray. Another piece of technology our patients really love is our computer-assisted anesthetic. We use a small handheld device to put your teeth to sleep. It doesn’t get much easier than that! Your healthiest smile begins with daily brushing and flossing, a sensible diet, and routine visits to our dental office for cleanings and exams. You may be skeptical, but maintaining a healthy smile is really as easy as that. Preventive cleanings and exams every six months help us find and fix small problems long before they become a significant threat to your oral health. Our digital x-rays help us find cavities before they can ever do any serious damage to a tooth. 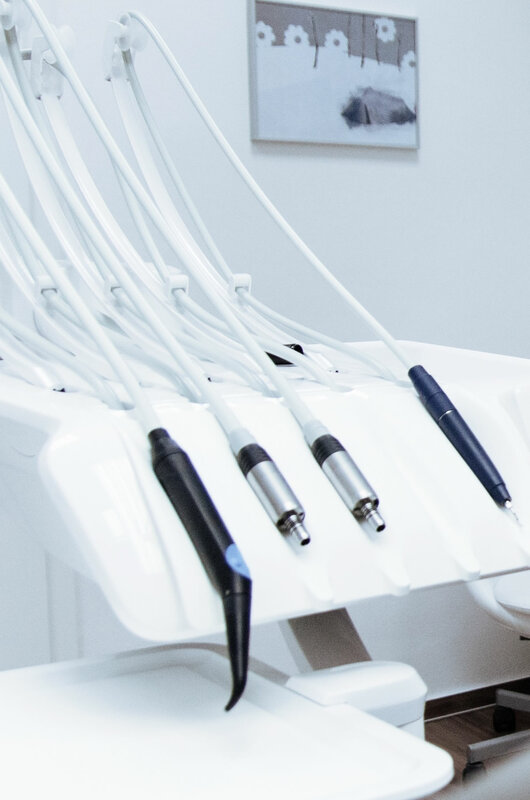 Routine professional cleanings allow our hygienist to identify gum disease at its earliest stages, perform the necessary treatment to stop its progress, and ensure that your gums remain healthy. Restorative dental treatments are meant to correct existing problems to bring your teeth back to full health. However, Dr. Daniel believes that restorations like crowns, bridges, fillings, and even dentures are an opportunity to improve the esthetics of your smile as well. With this in mind, our goal is that every procedure we perform leaves you with a healthier mouth and an improved appearance that will boost your confidence. Are you ready to take steps to enjoy a really healthy and beautiful smile? Whether you’ve been consistent with your dental care or it’s been a little while since you’ve received treatment, give us a call. If your smile is healthy, we’ll make sure it stays that way. If you need some assistance, we’ll work with you to come up with a treatment plan that makes sense for you and your needs. Please give us a call today to arrange your next appointment. Dr. Daniel and our team look forward to showing you the best that dentistry has to offer.